For the past several decades, world-renowned doctors and scientists have been searching for the origins of cancer cells. Most likely, people have long wondered about the cause of cancer for centuries already! In fact, the word cancer came from the father of medicine, Hippocrates, who used the Greek words, carcinos (crab) to describe tumors. But alas, it's now the 21st century, and they still have not come up with reasonable answers. The exact cause of cancer is still unknown by scientists. 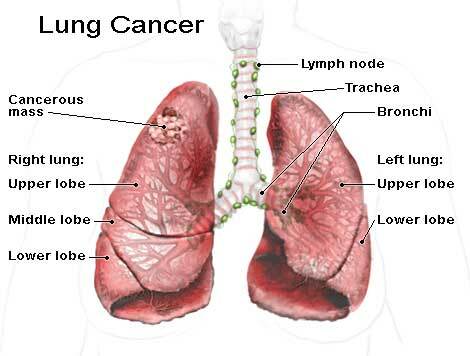 More than 40 years ago, I found the root cause of cancer and its origin. This brought me to inventing the PYRO-ENERGEN, a medicinal machine that can eradicate various cancer diseases. According to my research, there are only two kinds of cancer. One is caused by toxic materials such as asbestos, printing ink, and chemicals. The other one is caused by the energy of nature like spiritual forces. If your cancer is caused by environmental toxins, then you may not find a cure but only remedy. In this case, the PYRO-ENERGEN machine will not work in eradicating the cancer. It is because the toxic elements that cause cancer cells cannot be removed by the power of PYRO-ENERGEN. 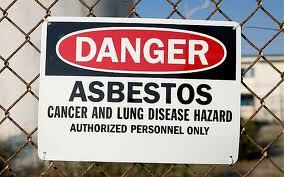 Asbestos or other toxic elements are cancer-causing substances. To prevent this type of cancer, wearing asbestos filter mask or other chemical protective clothing suits and accessories are necessary. Otherwise, the toxic elements might get into your body. If you are staying or working in such area, you have a higher likelihood of developing cancer and related diseases. Finding a cure for it is not that easy. However, if you acquired cancer with no known cause or reason, then it is most likely caused by spiritual forces. This type of cancer has remained hard to treat or cure despite advances in modern medical science...but not anymore! With the new PYRO-ENERGEN machine, spiritually-rooted cancer diseases will become a thing of your past. Thousands of patients around the world were cured. Bone cancer, breast cancer, leukemia, and other spiritually-rooted diseases are therefore, no longer a tribulation for us by applying the PYRO-ENERGEN machine. Our thousands of PYRO-ENERGEN users for the past four decades proved that most cancer patients suffering from third stage of cancer and below recovered remarkably. As seen in our website, we have been proudly supplying PYRO-ENERGEN machines to thousands of medical clinics and hospitals including cancer-oriented hospitals and research authorities since forty years ago. We are continuously studying how to eradicate world's maladies without any regrets. PYRO-ENERGEN produces only static electricity. As you know in physics, static electricity flows just like air, wherein it can only go where air can get to and cannot pass through skin or penetrate the surface of our body. It is the reason that PYRO-ENERGEN does not cause any harm or side effects at all to our body. The PYRO-ENERGEN is effective against all kinds of viral diseases, including cancer, breast cancer, leukemia, insomnia, stomach ulcer, migraine, arthritis, muscular dystrophy, chronic sinusitis, stubborn bloating, fibroid tumors, dry mucus, kidney diseases, and many others. YOU JUST NAME IT, the PYRO-ENERGEN electrostatic therapy machine is what you may have been looking for.